If you’ve ever breathed eucalyptus oil-infused steam when you’ve had a cold, or sprayed lavender around a room to create a calm environment, you’re familiar with the principles of aromatherapy. As colder weather approaches, this is a good time to support your immune system with natural methods. So today, we bring you four fragrant essential oils to boost your immune system and much more. A cautionary note for those with pets: while aromatherapy is generally considered safe for humans — several essential oils have even been approved as food additives, and fall in the GRAS category: “generally recognized as safe” by the U.S. Food and Drug Administration — essential oils can be dangerous for animals. In the same way that flu shots have been shown to depress the immune system, thus weakening the body’s response to the flu virus, aromatherapy oils, while a boon for people, can be toxic to pets — especially cats, whose systems cannot process the constituents of the oils. Aromatherapy, the therapeutic use of plant oils for improving health and aiding relaxation, is natural and non-invasive for humans, but may be dangerous for pets. Use with care if you share your home with animal companions. Just as the Beatles became a household name because their music held universal appeal, these four aromatherapy oils – lavender, tea tree, eucalyptus, and lemon – are a timeless “fab four” that will help to keep you and your bones healthy. Be sure to have these essential oils on hand so they’ll be available when you need them. Renowned for its calming effect on the central nervous system, lavender is a popular essential oil used in massage, in herbal teas, as a hydrosol (a distillate floral water that is much less concentrated than the pure essential oil), in eye pillows (small sachets placed over the eyes to help induce sleep), and in facial cleansers, toners and moisturizing serums. Lavender is so versatile, it even adds a pleasing aroma to a bone-healthy, multipurpose hair styling gel that you can make at home. You can also create your own bone-healthy designer fragrance. Finally, you can use lavender oil to keep your home smelling fresh. Commercial air fresheners contain acidifying chemicals, which damage your bones. But it’s easy to make your own lavender air freshener that will ensure your home and its inhabitants remain healthy and serene. Lavender is a versatile essential oil with strong antibacterial and antifungal properties that can be used to relieve colds and flu, headaches, and stress. It can also keep your home environment delicately scented, and beautify your skin in numerous bone-healthy ways. Tea tree is a frequent ingredient in personal care products. However, many store-bought consumer products contain chemical toxins. An easy solution for Savers? Make your own bone-healthy, antibacterial, antifungal mouthwash and hand sanitizers that use tea tree oil, and skip the toxins. You can also make your own refreshing facial cleansing wipes — and shaving cream — using tea tree and other essential oils that will protect your bones and overall health with an effective natural alternative to chemicals. Tea tree oil is a powerful anti-inflammatory, antiviral, all around immune stimulant, effective against a wide range of ailments, from colds and flu to more serious respiratory conditions such as bronchitis and asthma. You can make your own bone-smart personal care products that use tea tree oil and are chemical-free. Anyone who has ever held a towel over their head while breathing in steam infused with a few drops of eucalyptus knows the power of this essential oil to relieve congestion. A drop or two of eucalyptus oil in a diffuser or humidifier will open your nasal passages and restore your ability to breathe freely, a welcome immune boost in the winter months. Eucalyptus helps you breathe more freely, making it an excellent essential oil to add to steam inhalations, diffusers, and humidifiers. Its antioxidant, anti-inflammatory, and antibacterial properties also make eucalyptus the go-to aromatherapy choice for more severe upper respiratory conditions such as bronchitis and asthma. 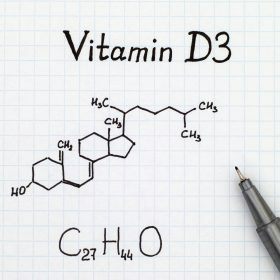 It’s even been shown effective for arthritis and herpes. In aromatherapy, lemon oil’s antiseptic, astringent and detoxifying properties help boost immunity while counteracting acidity. Because lemon is a powerful detoxifying fruit, lemon essential oil can help cleanse your blood. Add one drop of lemon oil to a teaspoon of honey and coconut oil for a quick detox. By ridding the body of toxic buildup, you will help strengthen your immune system. Lemons are highly alkalizing, igniting your metabolism and digestion. Drinking warm water with the juice of a fresh lemon upon awakening is an excellent way to start your day and maintain good health. If you prefer a cool drink, homemade lemonade is another excellent bone builder. And, of course, when it comes to beauty, this alkalizing Foundation Food belongs in every Saver’s kitchen. And make sure you also have some lemon essential oil handy! Lemon essential oil is a winner for helping to calm and detoxify your entire body, as well as relieving the nausea and pain of first trimester pregnancy. This alkalizing Foundation Food is so versatile, it belongs in every Saver’s kitchen. Steam inhalation. This is the method your grandmother may have used to clear congestion. Boil a medium-size pot of water on the stove, add a few drops of essential oil, cover your head with a towel, and breathe deeply. Be careful here, obviously. You may wish to remove the water from the stove and pour it into a bowl. Eucalyptus or tea tree oil each work wonderfully to clear blocked nasal passages; lavender is a good choice if the illness has kept you from sleeping well. Bonus: steam is a natural beauty treatment for your skin. Diffuser. For a powerful immune boost, diffuse the oil around the room, especially if it’s a bedroom where someone is recovering from a cold or flu. You can purchase a diffuser at many natural food stores. Adding a few drops of essential oil to a room humidifier will have the same effect — in fact, some humidifiers even include a compartment for essential oils. This method works best with eucalyptus oil (for clearing sinuses) as well as lavender (for creating a calm, healing environment). Spray bottle. To cleanse an area of germs, add 20 drops of lemon essential oil to a spray bottle, fill the bottle with filtered water, and use as a disinfectant to clean the sick room and freshen the air throughout the house. If you’re using tea tree oil, which has a very pungent aroma, you may wish to add fewer drops so the smell doesn’t overwhelm the person who’s getting well. Bath. Use a few drops of lavender in your bath water. You can also mixed the oil with Epsom salts to help the oil dissolve evenly. This healing bath will help draw toxins out of your pores, and is so relaxing you might fall asleep as soon as you’re toweled off and back in your bedroom. Therapeutic massage. For a healing massage, add a few drops of lavender oil to a neutral-smelling carrier oil such as sweet almond oil, olive oil, or avocado oil (you can use up to 20 drops of essential oil per ounce of carrier oil, depending on the strength of aromatherapy desired). Feel your muscles release toxins as the massage therapist releases the cold virus from your body. Consider combining oils for an even greater benefit. Lavender and eucalyptus, for example, can simultaneously clear up cold symptoms and relax you enough to sleep well. You can use essential oils in many ways to help build immunity and prevent colds and the flu. These include steam inhalation, diffusing oil throughout the room, using diluted essential oils as a spray to clean the house, in your bath water, and as part of a therapeutic massage. You can also combine oils to maximize their benefit. Essential oils are a natural, non-toxic, time-honored way to keep your immunity strong and clear myriad health conditions, from colds to canker sores, abscesses to asthma. Experiment with the oils and methods of use to find what works best for you. Keep your immunity strong this winter with lavender, tea tree, eucalyptus and lemon oils. And as we’re approaching flu season in the Northern Hemisphere, remember to not fall for the Medical Establishment’s propaganda on the flu shot. 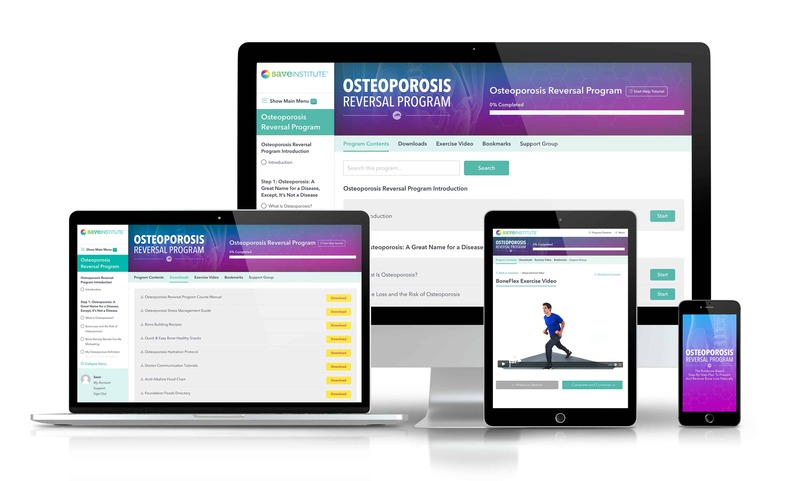 Save Our Bones Bulletin: Flu Season Worst In Years, Study Confirms Flu Vaccine Weakens Immune Response, New Bone Formation Pathways Discovered, And More! All sounds good except do not take orally. It is not safe, especially lemon EOS….I use citrus EOS to take the scum off of my shower! Use in defuser…but do not ingest any EOS, always check with your treatment (EOS) professional. And if you don’t believe me google ingesting EOS…. Thanks for extra info on essentials oils. I have used them several months now. 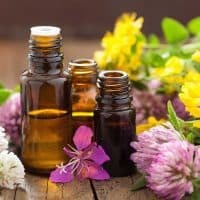 Thank you for this interesting article on essential oils. Wonderful article, Vivian! I’m a huge fan of essential oils for their aromas and therapeutic effects. I found the highest grade essential oils and became a distributor of them because I believe in the power of plants to support our body systems. I’m so happy to see your aromatherapy tips here to the Bone Savers group. I love your work and am grateful that you passionately reach out to all of us on a regular basis. Thank you so much! While I support most of your dietary and exercise suggestions for osteoporosis, your advice to not get a flu shot is actually dangerous and irresponsible. I have nearly died from the flu several times. I have seen countless patients unnecessarily die from complications from the flu. Essential oils will also kill any pet birds(canary in the coal mine?) and there is no scientific evidence that they boost the immune system. Flu shot prevention programs have been proven to save lives.. I know that not everything is 100% guaranteed to be working effectively whether it is the flu vaccine or essential oils. Many years ago, I nearly became disabled due to catching the virus but fortunately recovered but after that incident, my energy levels never returned to normal. Eventually I was diagnosed with sjogrens which affects many things in my body and found out later that this condition was possibly caused by the flu which can affect the immune system. So anyone who has a compromised immunity, best advice is to get the vaccine before waiting for worse to happen. Please supply the scientific studies you are using to make such unsubstantiated claims. This sounds anecdotal and a personal opinion more than actual evidence. Even if the flu shot is not 100% matched to the strain that is circulating, it still can and does provide some protection so that the illness is not as severe..
Great question, Pat. As a cat owner myself, I know to be cautious with anything they could be sensitive to. A good rule of thumb is to use essential oils in rooms where you can shut the door, or where your cat can’t get to the room to be exposed directly until the fragrance has dissipated. I’ve noticed some products at the pet store that use essential oils such as lavender. Lavender in a diffuser for a brief time made our cat listless and vomit. I also read that some oils should not be put in steam, after I had a severe sneezing attack after putting Eucalyptus oil in simmering water.